Sounds like somebody still can't stand it that they're dead wrong about Shostakovich. He's far from second-rate. He was a composer of the highest order. One of the most naturally gifted composers this world has ever seen. He will continue to be popular because his music touches people. I have nine Shostakovich symphony cycles. Popluarlity fading? I think not! Shostakovich's popularity isn't fading just because you, Toucan, say it is. Shostakovich isn't a good composer because that guy on that internet forum said he isn't. So, I guess my taste is wrong. Thanks for correcting my taste. Oh yeah, could that guy tell me which composers I should and shouldn't like so I know how to have correct taste in the future? I suspect not. The Boston Symphony are playing the Fifth Symphony tonight. ... and just before I read that I was playing a recording of his Trio in e Minor, which does sort of fade at the end with pizzicato notes in the violin and cello part. Is that what the thread title is about? Sorry to dig up this older thread, but it still makes me laugh. You may as well enjoy the laughs. It's quite clear at this point that Toucan has reduced himself to mere trolling. We should move on and use this thread to celebrate Shostakovich, turning the thread on it's head! Great recording of a great symphony, that's for sure. I saw he made a recording of Fleishmann's Rothchild's Violin and Shostakovich's "The Gamblers". Hmmm ... perhaps there's more to this fading issue than meets the eye! I can't believe people are forgetting the fading of the ending of the 4th symphony! Who is conducting Mr. Henning? Yes, you're right, but I agree with Dave. We should use this thread to celebrate Shostakovich instead of being concerned with the OP's original topic of discussion, which was nothing more than an opinion of ignorance and indifference. There a few points I'd like to make on this thread. 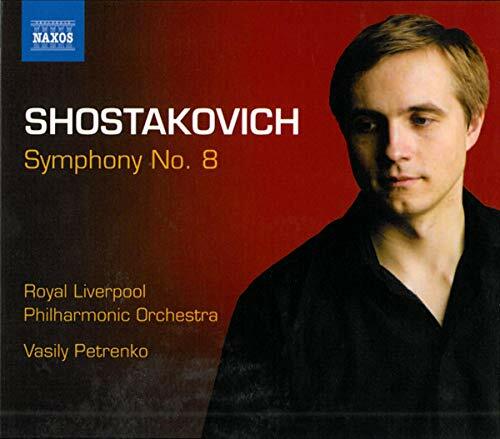 One is that Shostakovich obviously deserves some respect, just about any composer does really. And it is possible to appreciate some of his music even if you don't love his music like some. Then again just because someone loves his music doesn't mean that someone else has to, not everybody is the same as you and you have to accept that. Secondly though it's interesting that those who say they really aren't concerned about someone not liking his music that much are actually showing quite a lot of concern bumping up an old thread. They actually seem as concerned about his prestige as the person posting the thread in the first place, it's just they have a different opinion on it. So ultimately is this thread about the music or is it just something that people want to turn into a flippant battle between someone who likes it or doesn't like it? More the second I suspect. I think this often revolves around the old mindsets of; I like it = great / I don't like it = rubbish. I am not too keen on quite a chunk of his compositions: but I am happy to believe he falls into the 'great' category. I don't like sushi, but that does not mean it is somehow defective as food. The problems in these threads are when there is a claim that some well renowned composer is defective, claimed usually on the say so of someone who provides no evidence beyond opinion. Then the threads spiral down and become personalised. Well, I considered the possibility of turning the thread into a discussion of "Is Toucan Fading?" but this seems a more productive area of discussion. By and large I have no interest in 20th century 'modernist' composers -- there's nothing wrong with them, of course, the musical language simply doesn't appeal to me. (There are a few exceptions, though.) In spite of this, and in spite of the sales I've made of 20th century classical music that I loved when I was a teenager (Ligeti, Bartok, etc.) I will never under any circumstances let go of my cycle of Shostakovitch's string quartets (Fitzwilliam quartet). Those quartets touch a place -- for better or worse, as that place can often lead to serious depression -- that very few other pieces of music can. Shostakovitch does indeed touch people. Even young men with the soul of an old fogey such as myself who have conservative tastes. I don't like sushi, but that does not mean it is somehow defective as food. I can't believe you don't like sushi! I love it! The problem is that good sushi is pricey. If it's the imitation crab meat stuff, you won't get sick off of California rolls. Salmon makes for a great roll, and is easy to find fresh. Perhaps "toucan" himself is fading?